Dustin Jackson was the man on a mission at the NHRDA World Finals. Jackson went 8.091 in qualifying to break the current Pro Street World Record and then in the final round went 8.105 to back up that World Record. 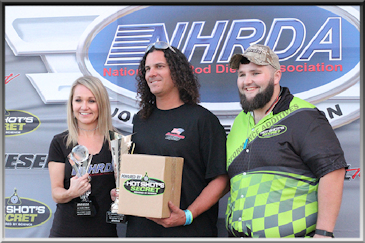 The competition in the Pro Street class wasn't easy either with Lavon Miller and Ryan Milliken making their way to the Texas Motorplex for the final NHRDA event of the year. Miller defeated Milliken in the semi-finals and then was unable to make it to the final round with mechanical issues.